The High Court (HC) on Thursday stayed the elections to the newly included 18 wards in Dhaka South City Corporation (DSCC) and six reserved wards. The HC passed the order a day after staying the proceedings of Dhaka North City Corporation by-poll for three months. Elections to both the city corporations were scheduled to be held on February 26 next. A division bench of the HC bench comprising Justice Tariq ul Hakim and Justice Md Faruque passed the order upon a writ petition. Senior lawyer Kamrul Huq Siddique and Partha Sarothi Mandol moved the case for the petitioner while Deputy Attorney General Amatul Karim stood for the state. The HC also issued a rule asking the Election Commission (EC) and the government as to why the election schedule should not be declared illegal. Mozammel Mia, a voter of Demra union, filed the petition with the HC on Wednesday challenging legality of the election schedule. Earlier on Wednesday, the HC stayed the Dhaka North City Corporation by-polls for three months. A HC division bench of Justice Naima Haider and Justice Zafar Ahmed passed the order upon two writ petitions by two former chairmen, one each from the ruling Awami League and Bangladesh Nationalist Party (BNP). The court also issued a rule asking the Election Commission to explain as to why the HC shall not declare illegal the schedule for the mayoral by-polls and elections in the newly added 36 wards. In an immediate reaction, the ruling Awami League General Secretary and Road Transport and Bridges Minister Obaidul Quader on Wednesday said the government has no role regarding the court's stay order on the Dhaka North City Corporation (DNCC) by-polls. "Awami League doesn't believe in dirty politics...The government has no role over the stay order regarding the DNCC by-polls," he said at a press conference at AL president's political office in city's Dhanmondi. 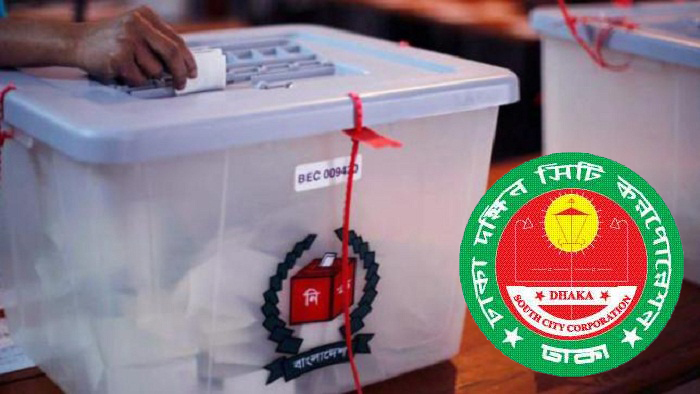 Besides, Local Government, Rural Development and Cooperatives Minister Engineer Khandker Mosharraf Hossain said on Wednesday that the activities of the DNCC would not be hampered as the court just stayed the by-polls. "I want to assure the countrymen of one thing that there is no possibility that the activities of the Dhaka North City Corporation (DNCC) would be hampered," he said while replying to queries about the stay of DNCC by-polls by the court at his secretariat office in the capital.